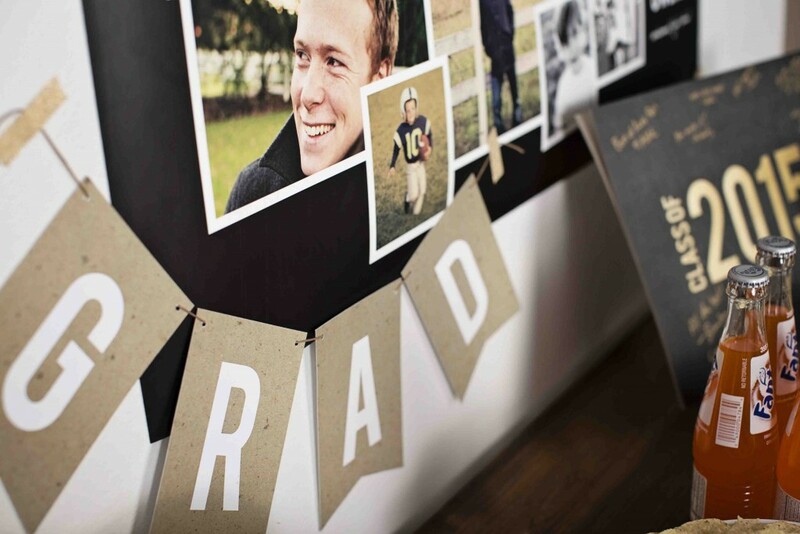 To continue the classic-look for this graduation party, we used the Krafted Grad Banner and split it in half to create two banners — one that said “Grad” and one that said “2015,” which we used elsewhere. It’s fun to come up with new ways to use the banners! 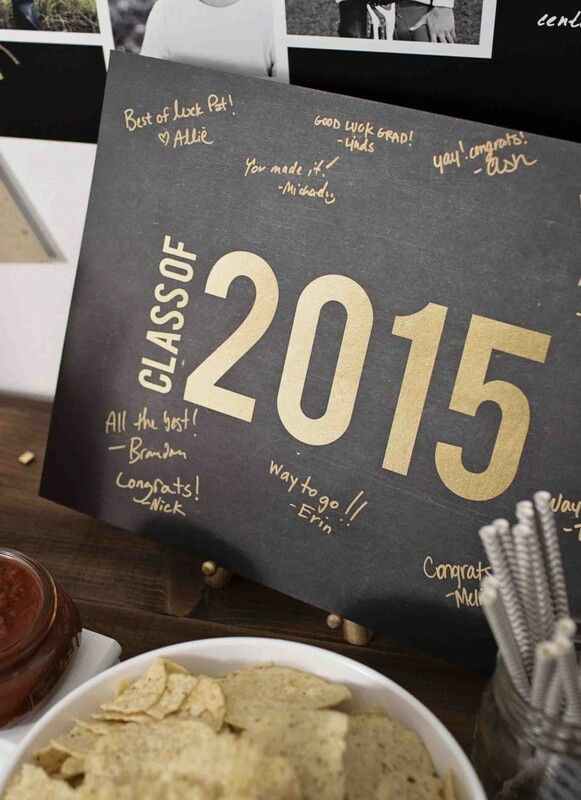 We thought it would be fun to give our guests a way to leave good wishes for our grad, so we personalized the Glowing Year Guest Book Print for guests to sign as they arrived. 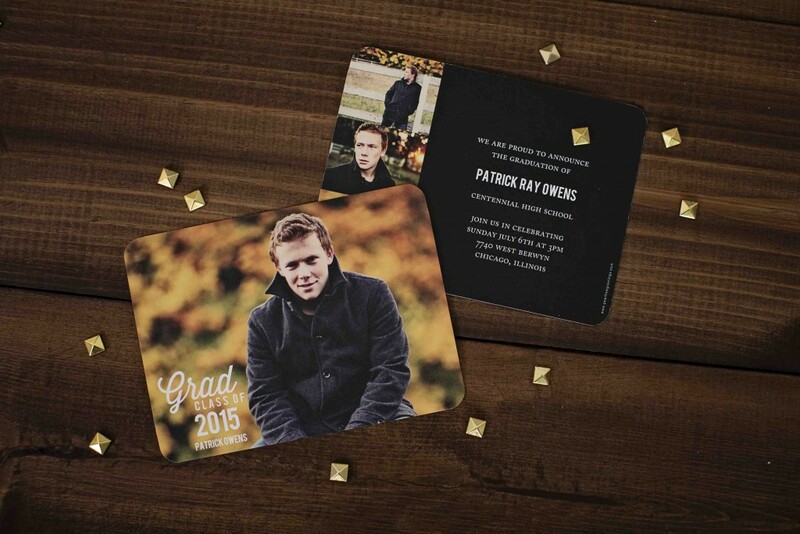 This print makes a great keepsake for the graduate. 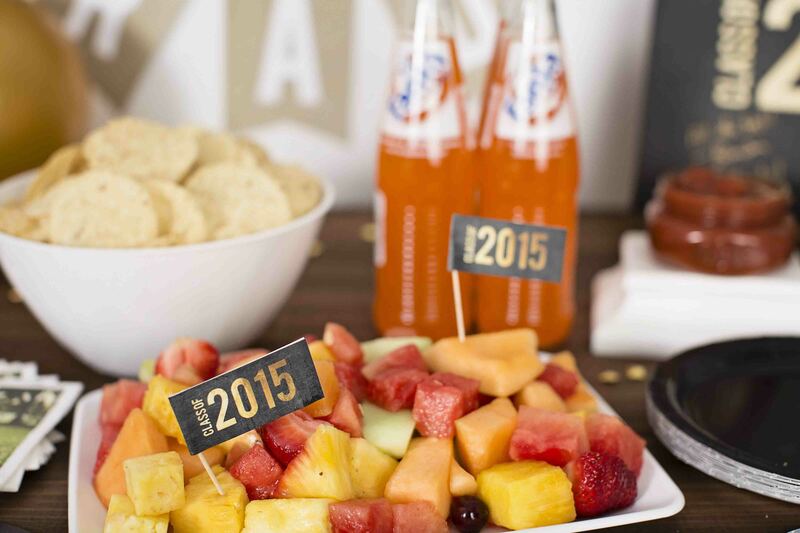 For the snacks, we served classic favorites of chips, salsa and fruit. The Glowing Year Cupcake Flags were a perfect match to the guest book print so we used them to liven up our fruit salad. 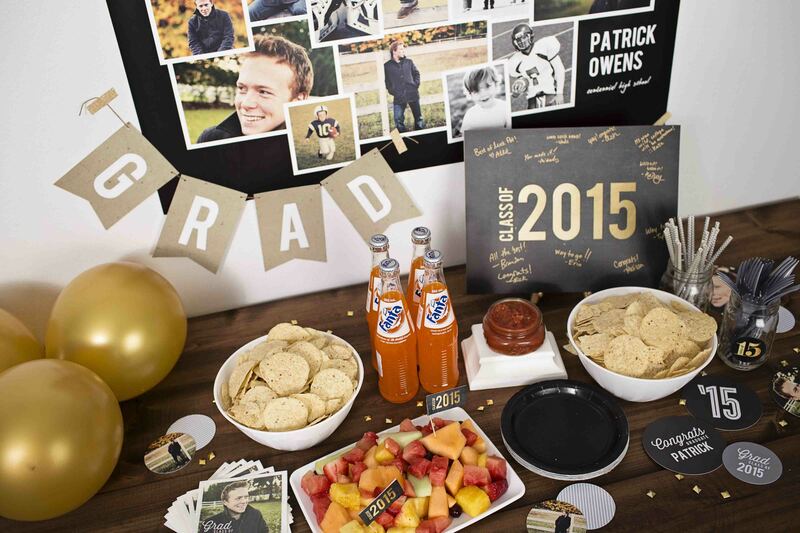 We chose our beverage just for its color, using orange Fanta to match the orange leaves in the graduate’s photos. We sprinkled Congrats Photo Table Decor throughout the table as an added personalized touch. We also ordered Favorite Photo Napkins to match the invitation. 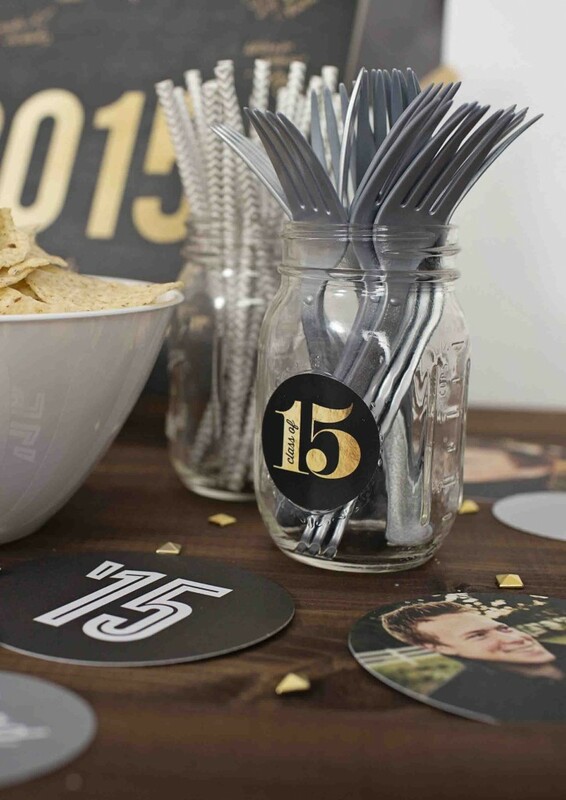 And to spruce up the silverware, we put them in a mason jar and added a Faux-Foil Year Personalized Sticker. 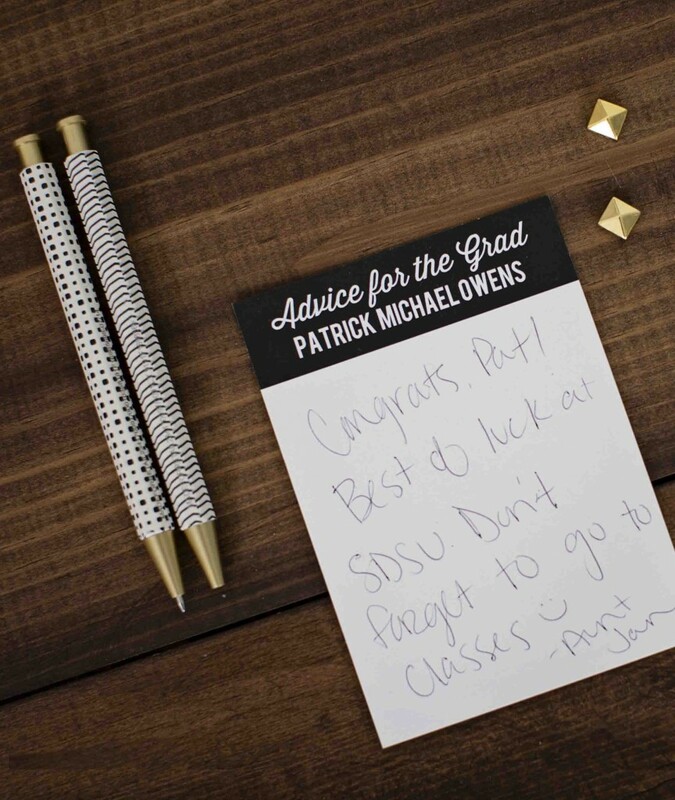 Lastly, we set out Favorite Photo Comment Cards for guests to leave advice and well wishes to encourage the graduate. 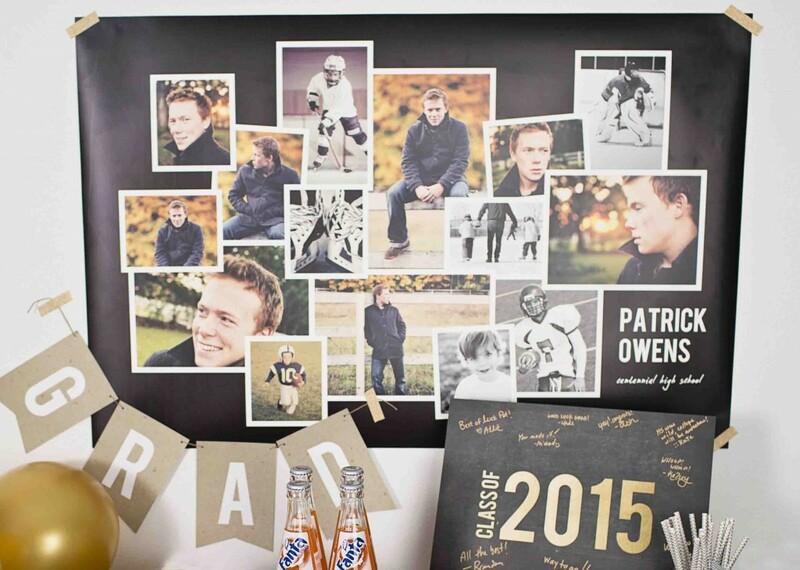 It’s a nice personalized touch that the grad will enjoy reading after his graduation party. 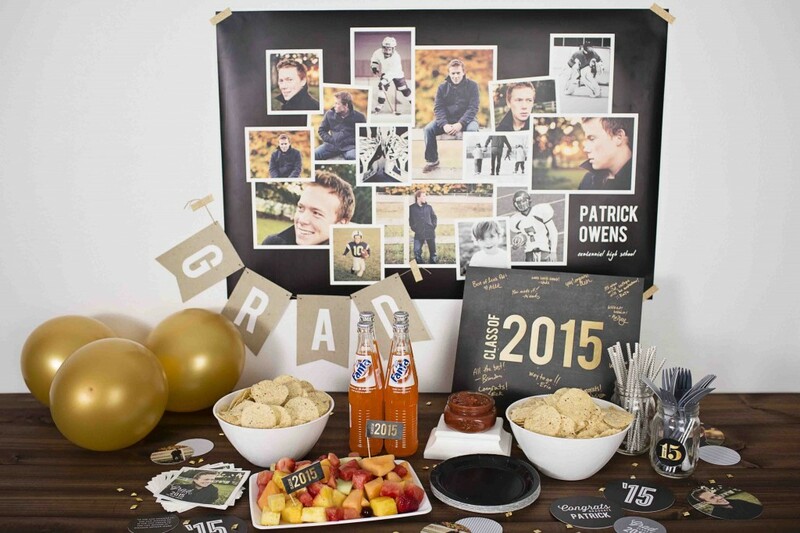 We hope you were inspired by these classic graduation party ideas to find ways to celebrate your own graduate’s journey. 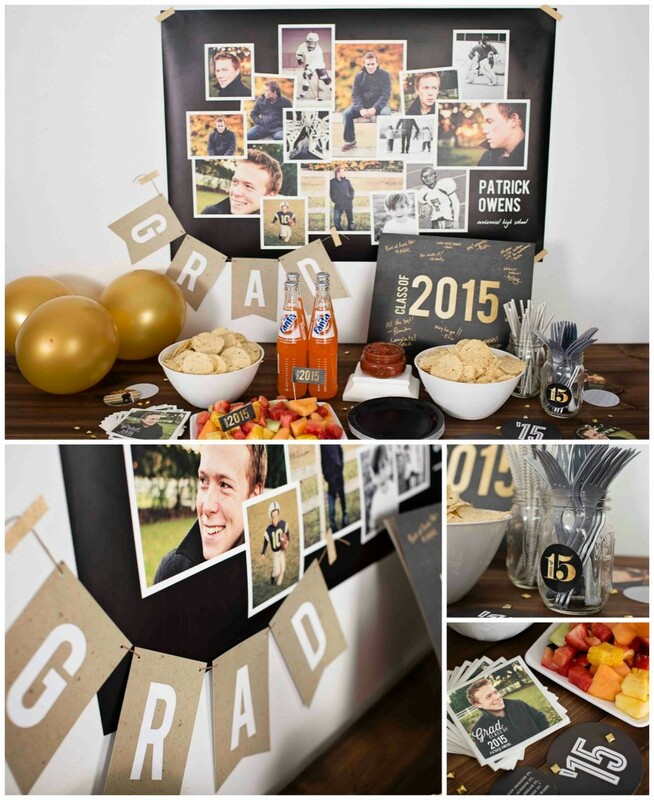 Start by choosing your graduation announcements and complete the look with our graduation party decorations. 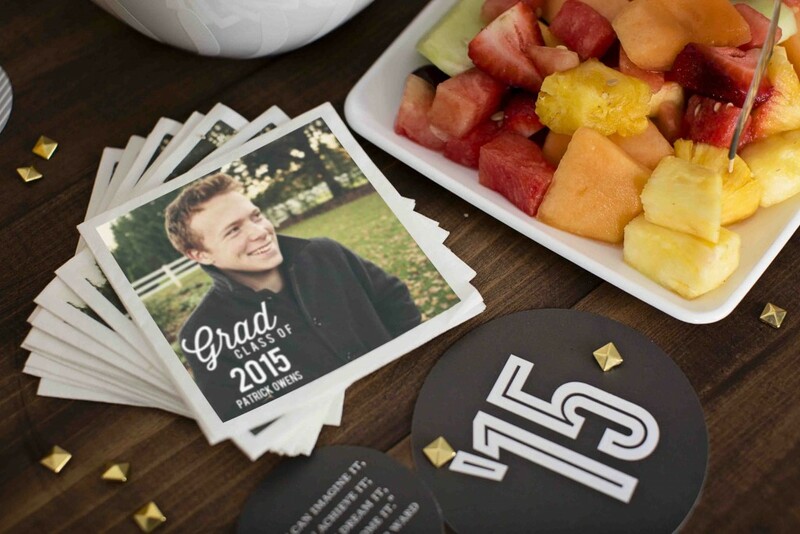 For more inspiration, look for more graduation party ideas on our blog.